Two tiny garden birds with bright yellow crests. The kit has an outline chart for each bird printed 10 stitches to one inch on A4 and a full colour chart printed 10 stitches to one inch on two sheets of A4. 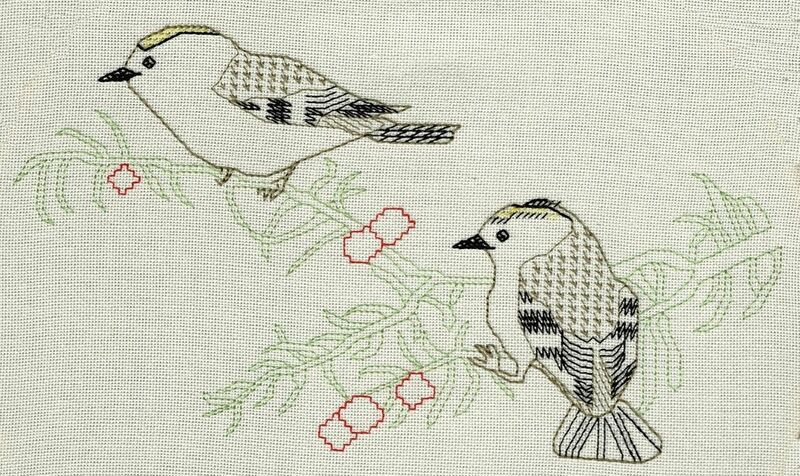 The pattern is worked in five shades of stranded cottons using backstitch with a few whole and quarter cross stitches for the birds' eyes and beaks. The stitch count is 123 by 68.